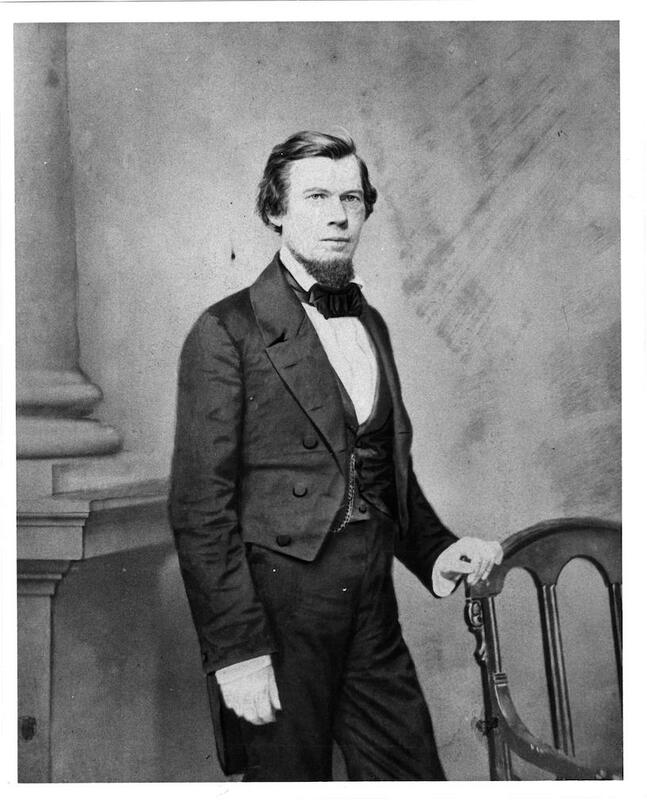 Born in North Carolina on 15 May 1810, Jacob Thompson went on to become a leader in Mississippi education and government and to serve as US secretary of the interior in the 1850s. After graduating from the University of North Carolina at Chapel Hill in 1831 and studying law, Thompson, like many other young men of the time, sought his fortune on the western frontier. He was admitted to the bar in 1834 and began practicing in Pontotoc County the following year. He helped to establish circuit courts in many new counties. He was elected as a Democrat to the US Congress in November 1838 and a month later married Catharine Ann Jones, the sixteen-year-old daughter of a wealthy Lafayette County planter. Their only child, Caswell Macon Thompson, was born in November 1839, and the family soon moved to the developing town of Panola. There, Thompson added planter to his ongoing roles of lawyer and politician. He won reelection to Congress five times, serving until 1851. By 1844 Thompson had moved to Oxford, where he became a founding member of St. Peter’s Episcopal Church and joined the first board of trustees of the University of Mississippi and served as its president in 1848. He drew on his experience both as a student and tutor at the University of North Carolina in helping to draft the rules and curriculum of the new school, and he laid the foundation for the university’s library and later helped persuade the state legislature to create a law school. According to historian Joel Williamson, in the late antebellum period, Thompson “was becoming one of the wealthiest men in northeastern Mississippi,” with most of his wealth in land and slaves. During the Civil War, Thompson served as a soldier, one-term state legislator, and head of the controversial Confederate Commission to Canada. He became a target of US government propaganda and was forced to live abroad until 1869, when amnesty allowed him to return to Oxford and he found that his mansion had been used as a Union Army hospital before being looted and burned by US soldiers in August 1864. Thompson realized he could not live happily in Oxford, and he and Catharine moved to Memphis, where he became a businessman who invested time and money in his family, church, and developing the University of the South at Sewanee. He died on 24 March 1885.